Even in such a small city, Hong Kong entertainment is unlimited. People go shopping, to the movies, gambling, dining out, going to amusement parks and traveling abroad . 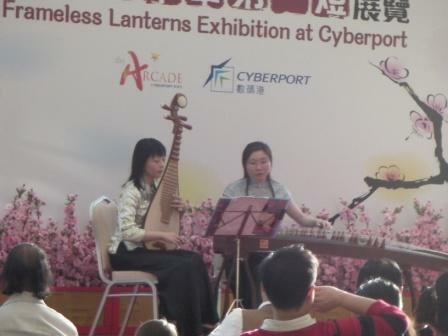 Chinese musical instrument performance is one of the kinds of entertainment that you can easily find. In my mom's generation, a TV was a luxury. While the radio played a big role in Hong Kong people's lives. There were radio play series that people liked to listen to every day. 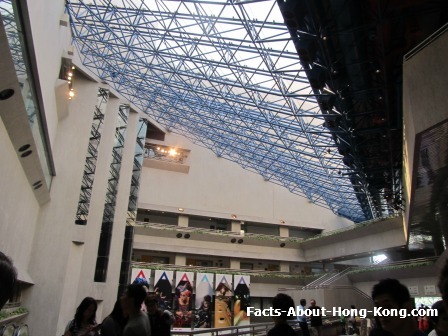 Under the development and encouragement for more cultural and art activities by the Hong Kong government, more museums are open to the public. Some of them are under a Hong Kong government program, called Hong Kong Antiques and Monuments . For those of you, like me, love go to concert, you would be amazed how many different kind of musical performances from all over the world are available here in Hong Kong. I really mean all over the world. Performers come from US, UK, Korea, Japan, Taiwan, Spain and more. 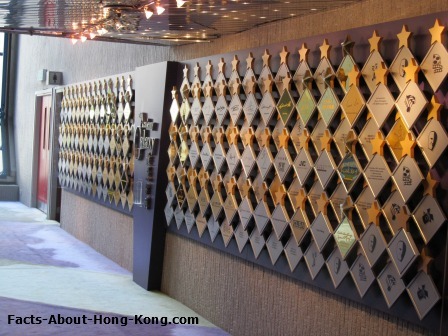 If you take your Hong Kong vacation during summer time, you will be surprised to find out how many great sports events. My sister and I always watched live soccer games played by some top European teams, such as Hotspur, AC Milan and so forth. We didn't go anywhere else, but in Hong Kong to watch them live. With her curiosity, she always found out where their hotels were that she could follow them in order to get autographs, FREE t-shirts from the team members. Oh yeah! We got a lot of "trophies" from these events. 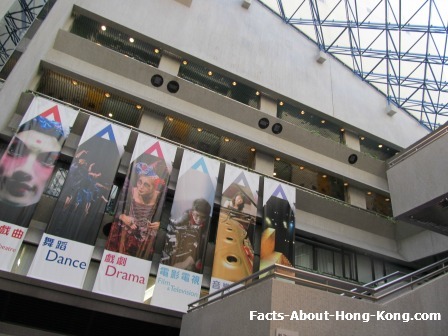 The Hong Kong Academy for Performing Arts is well-known to be an institute for Hong Kong students interested in arts and crafts. It was the donation from the Hong Kong Jockey Club. This is also a venue of many classy Hong Kong entertainment, such as orchestra, opera, dance, Broadway shows, standup comedy and so forth. It ranges from local to world class shows. The first time I was here when it was first operated and open for the public. I was so mesmerized by its beauty, especially the color theme of the interior design. 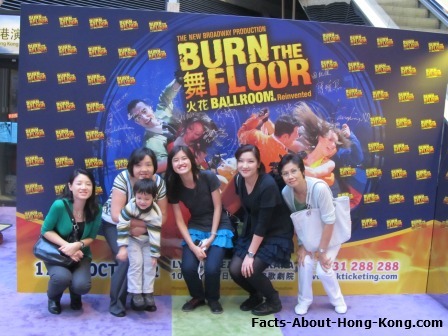 The latest show we we went to the Hong Kong Academy for Performing Arts was a dance show called, "Burn the Floor". The performers were from different countries. Many of them were the world champions of different renowned contests. A couple of them were the pros from a couple famous American dance shows, such as, "Dancing with the Stars"and "So You Think You Can Dance". We got the 2nd cheapest ticket HKD550/person which was still expensive. But if you think about going to any other world class entertainment, it falls into about that same price range. Before stepping into the theater, we got to line up somewhere. It turned out that the crowd was not as big as expected. So, they offered the free upgrade to $750/person seat. It was a big jump. It was the 3rd most expensive seats. The show lasted about 1 hour and 45 minutes. There was a 15-minute intermission. The latest visit was great. Only one disappointment was that the carpet color faded a lot. I wished that they will renovate the inside and bring back the vibrancy like it first opened. But all in all, it was an awesome experience. For more info, check out the web page of Hong Kong Academy for Performing Arts. Check out this Hong Kong ticketing link, Cityline, which is hosted by the Hong Kong government so that you can plan for your trip.